Summer Kitchens are a unique addition to any home. Living in Florida you are always outside entertaining, so why not have a kitchen outside where your pool is and where you entertain the most? 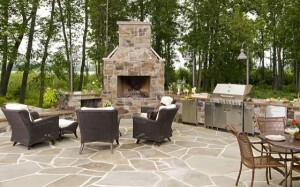 There are many different ways to design your Outdoor Summer Kitchens. At Pezzano Contracting LLC, we have designed and built hundreds of outdoor / summer kitchens ranging from $5,000 to $50,000 plus. Let us show you all the different styles you have to choose from and help you make your visions of your summer kitchen a reality.